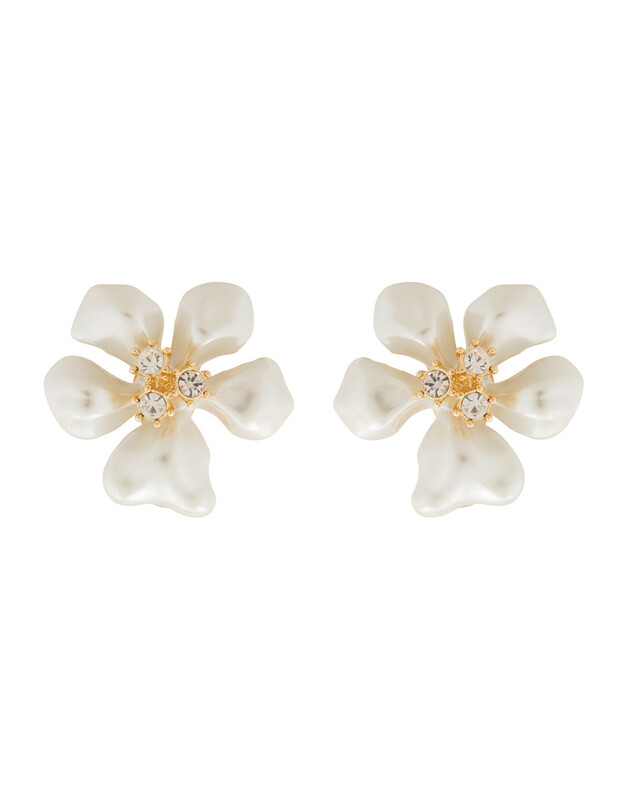 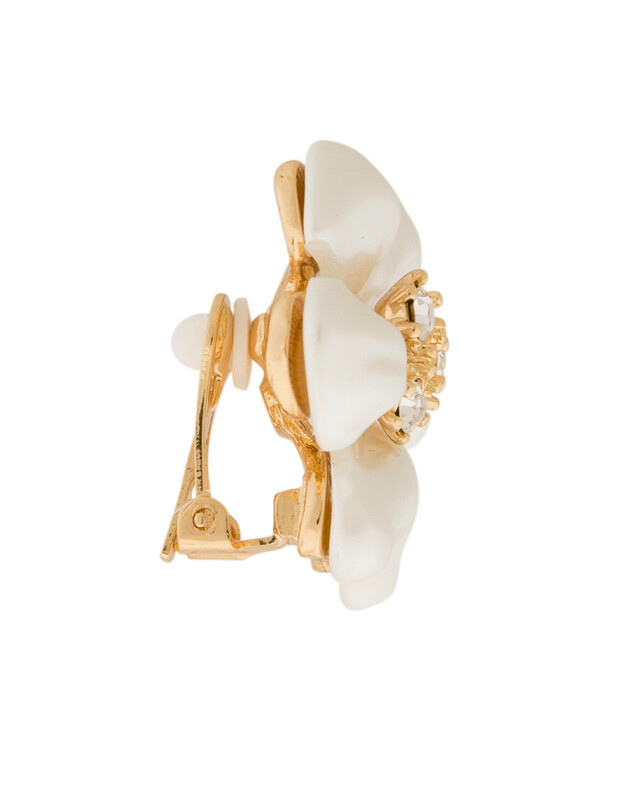 These white pearl flower earrings demonstrate the charm and femininity synonymous with Kenneth Jay Lane. 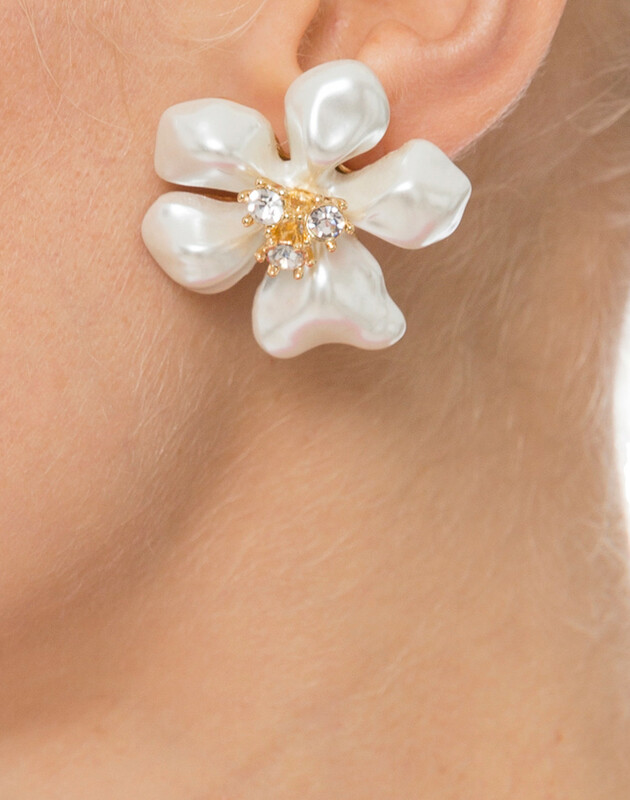 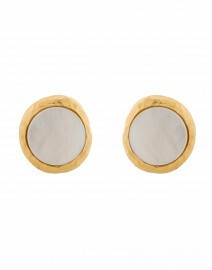 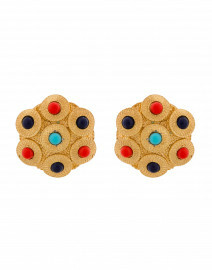 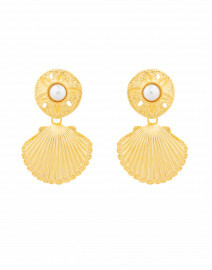 They're made from twenty-two karat gold-plated brass, faux pearls and feature clear crystals in the center. 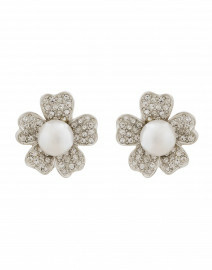 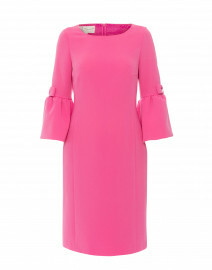 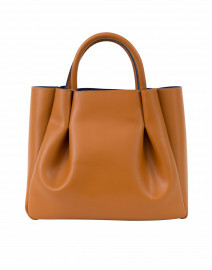 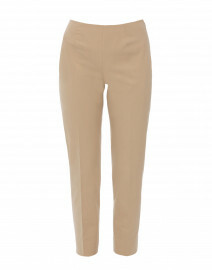 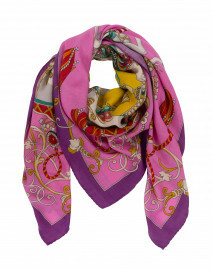 Wear them as a subtle accent to a pink dress.